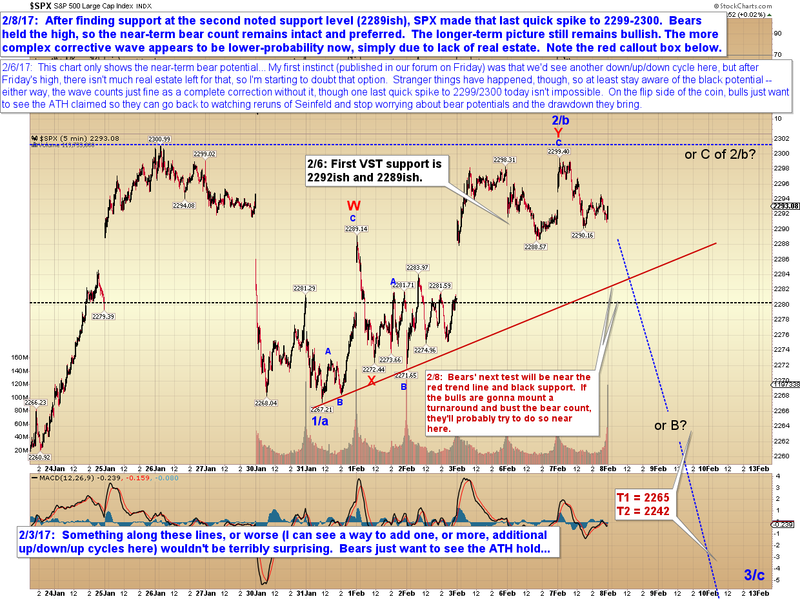 Pretzel Logic's Market Charts and Analysis: SPX Update -- and Why Do We Trade? 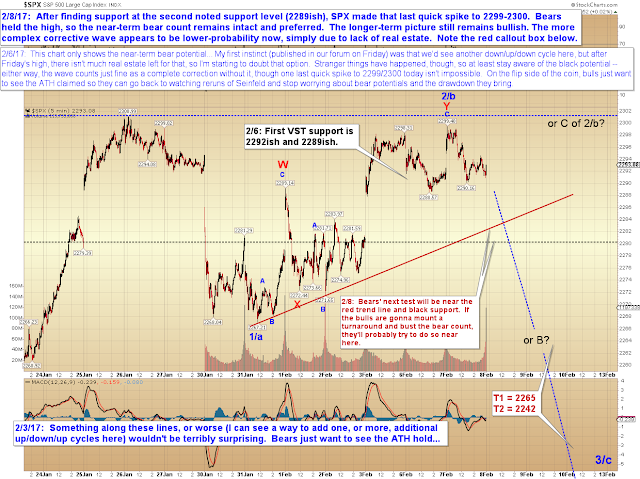 SPX Update -- and Why Do We Trade? 2. We trade for excitement, and the thrill of the hunt. Anybody read that and say, "Whoa, whoa, whoa... stop right there!" If you did, then good. If you didn't, then consider that of those two (main) reasons we trade, only one of them is consistently profitable. Here's the thing: Trading for excitement and thrill is pure emotion. Pure emotion pushes us in directions we don't want to go. It invariably leads to bad decisions. And bad decisions lead to lost capital. When we trade for the "thrill," then we're feeding a desire from a part of ourselves that really isn't too concerned about profit. Oh sure, the greatest thrill is a big profit. But ultimately, once that emotion takes over, it doesn't really care about profit anymore. It just cares about the POSSIBILITY of a profit, so trades will be entered just to prevent boredom, just to "keep us in the action," just to have a shot, etc.. In summer, I was fearless. Now I speak into an answer-phone. Winter wouldn't leave it alone. are we so... are we so helpless against the tide? And stop chasing... every breaking wave." In order to write those lyrics and know that we can gamble even for the thrill of losing, and that we need to "stop chasing every breaking wave," clearly Bono has experienced "trading for the thrill" (or something akin to it), which is simply a more socially-acceptable term for gambling. Now, one can argue that gambling is a part of life. We gamble when we cross the street, or when we buy a new house, or when we get married. But there's a difference between taking a calculated risk (which is what almost everything in life is), and true gambling. The underlying motivation is what separates the two. "Gambling," as it's commonly used, defines a risk taken at least partially or wholly for the thrill of it. But never fear: You WILL ultimately end up with the thrill of your life... when your account goes to zero and you have to start all over. The ultimate rush! Now, can you imagine approaching one of the other above-mentioned "calculated risk" activities like a gamble? For example: "Hey, I'm just going to buy a random house sight-unseen, because, you know, MAYBE it will end up being a great house that I can flip for a profit! Woo hoo, this is gonna be so exciting!" Sounds a bit ridiculous when put into those terms, doesn't it? But now review last year's trades to see just how many were taken with essentially that exact same mindset. Unless you're Mr. Spock, or lack the capacity for truly objective self-honesty, I can just about guarantee that the answer will be: "At least a few." Maybe more than a few. I know this because I regularly do this review on myself. And the answer is almost always: "At least a few." So -- my advice is: Check yourself constantly. Police your deepest motivations. Before you enter a trade, and while you're in a trade, ask yourself: WHY am I trading this? And don't accept the first answer you get carte blanche, because we are all masters of BSing ourselves. Dig around a bit, and find out for CERTAIN if you're trying to make a profit in a rational, controlled way, or if you're just chasing the excitement that comes if/when you win, or if/when you lose (because we'll sometimes do that, too -- essentially: we'll beat our heads against a wall for a while just because it feels so good when we finally stop). But if you can locate and root out those non-profitable internal motivations, then at the end of the year, I guarantee your account, and your self-respect, will both thank you. We really only need one chart today, because the big picture is unchanged. What we're watching for now is a near-term declining corrective wave. As we see below, SPX did indeed get that "last spike to 2299/2300." In conclusion, bulls ran it up as high as they could, but bears held the levels they needed to. The recent bounce does have a corrective appearance, so for now, the near-term preferred bear count remains preferred. Trade safe.